All the fighters slated to participate in tomorrow night’s “UFC on FOX: Johnson vs. Moraga” event tipped the scale Friday inside KeyArena in Seattle, Washington. 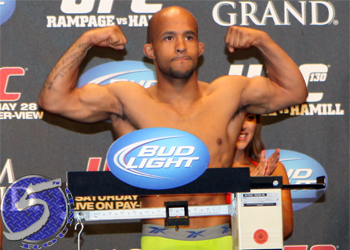 Demetrious Johnson (pictured) defends his throne against John Moraga in Saturday’s featured attraction. Welterweight up-and-comers Jake Ellenberger and Rory MacDonald collide in the co-main event.